So…you’re getting ready to buy a new house? Regardless if it’s “new to you” or built from the ground up, these tips below can help you avoid a certain NIGHTMARE. Even for those existing homeowners, we see all the time how you don’t “see” things the way a trained professional will…I’m sure you can relate, because you’re an expert in your field! Imagine the way a lawyer sees dramatic court room scenes in movies. Imagine the way a teacher feels when someone compares the job to babysitting. Yes, the expert eye sees the whole truth. It’s a three-dimensional truth when everyone else around only sees two. An expert knows what goes into the job, and ultimately, we see things in your home that you won’t. You probably saw our post on Facebook, but if you didn’t, go look now. 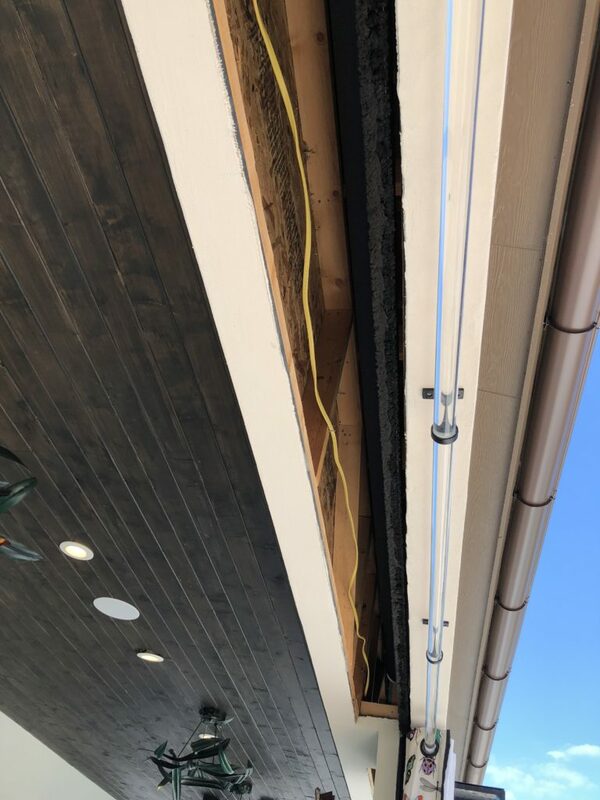 We had a homeowner contact us because they had a beam that was sagging…and when we went out, it wasn’t just sagging, it was ROTTED and we were surprised that it hadn’t fallen. 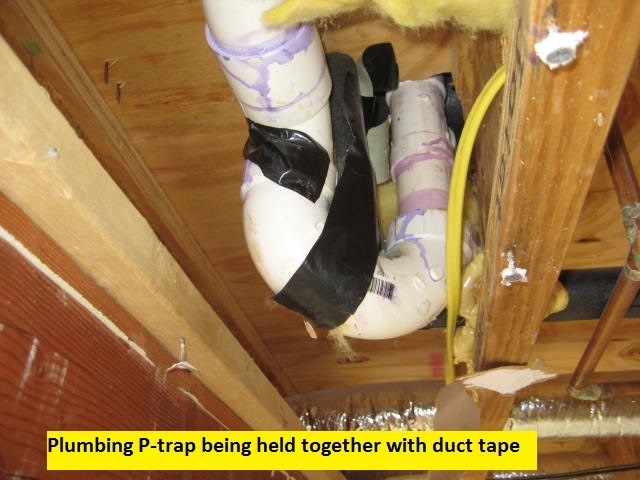 This homeowner was pretty upset because they had just bought the house six weeks prior, and their inspector didn’t find this! We ask ourselves this all the time! And we HEAR it all the time! What’s even more upsetting is that the inspector isn’t responsible if they miss something. First, call the city where the house is located and ask them to pull history on all the permits. 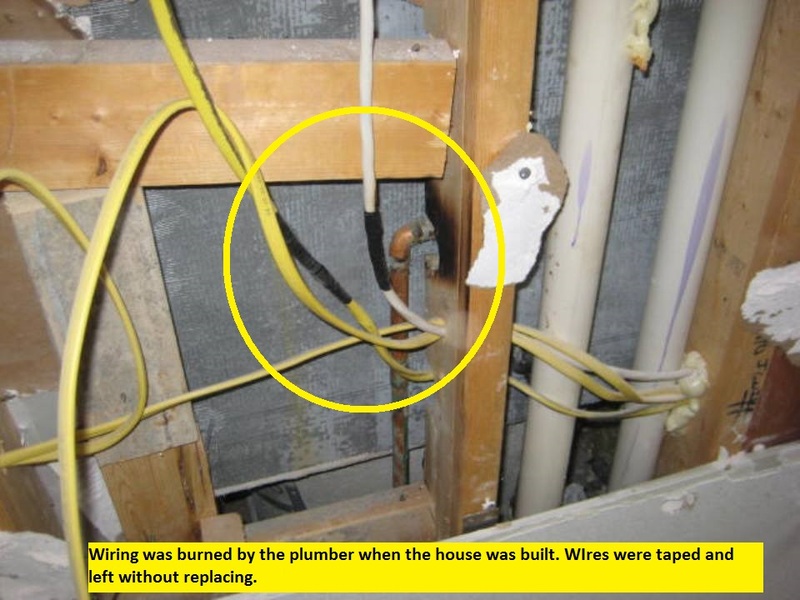 If they’ve had a water heater replaced, a remodel or even foundation work…there should be records where the appropriate permits were pulled. In some cities, they require permits if you’re replacing windows! This can tell you a LOT about what’s been done to the home and whether it was done properly. If the permits weren’t pulled, work with your realtor on how this should be handled. HIRE your own inspector, no matter what! The city is NOT doing a thorough inspection, they’re just looking for major code compliance. The cases we’ve seen are proof. AND…keep in mind, in Texas, any person with a hammer can call themselves a builder or remodeler. There are NO state laws or requirements to build or remodel! Some cities will require you to be registered to pull a permit…and some will require that you have insurance… and some will require you to go through an FBI National Background check…but they are few, and it’s NOT consistent across the state! 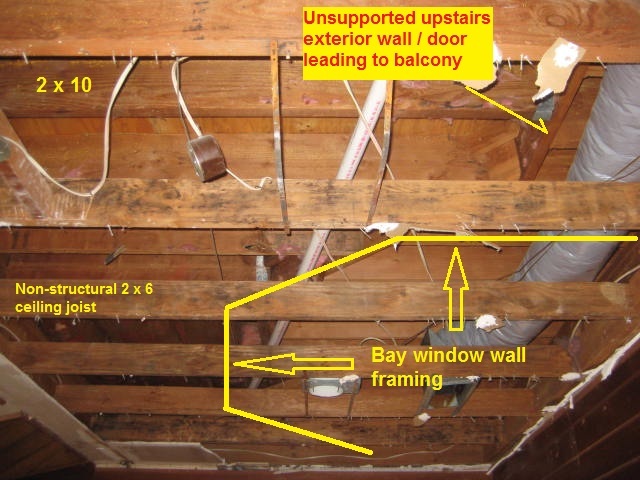 This type of inspector will start around $300 and up, depending on the number of phases inspected. But in the grand scheme of purchasing a home in the best condition, it’s an easy choice to make. Our intention is not to scare you, but for you to realize that we hear these stories ALL THE TIME and most homeowners are NOT even aware of their options. Many of you won’t realize what you’re “seeing”…but here is a floor here that is black with grout…the walls are a white glass. 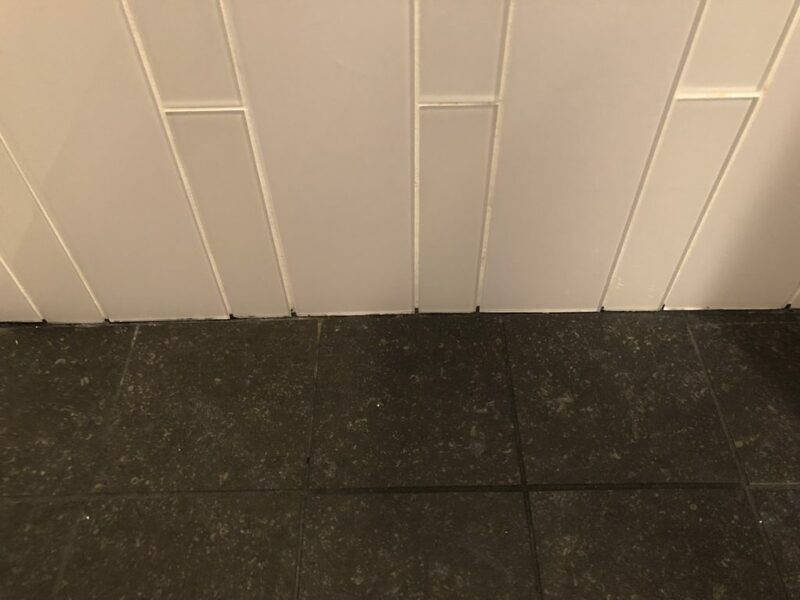 What WOULD have been a very easy solution is if a cove piece of trim or a piece of Schluter, or something else had been used…the black grout is “creeping” up into the white tile…it’s super sloppy, and looked even worse in person. This picture was taken in the shower of a multi-million dollar home! And a “showhouse” at that! Again…same “showhouse”…and look at the unfinished cut tiles used here! WHY would someone accept this? Maybe because they don’t know any different? But no…this is not acceptable. It’s taking the “cheap” way out, and obviously they’re not proud of their workmanship! 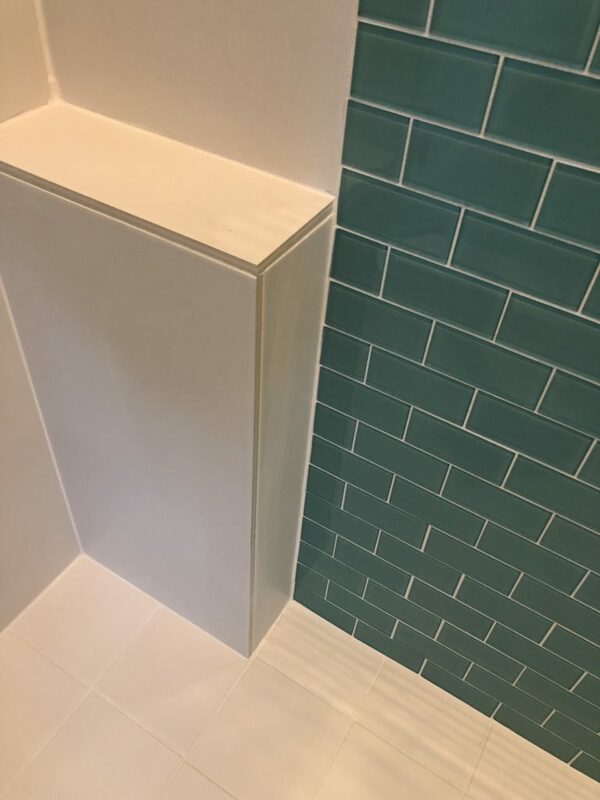 This was a project that we worked on several years ago…these homeowners couldn’t understand why the tile was popping in an upstairs bathroom…and we couldn’t figure out why the ceiling height varied by INCHES from one end of the room to the other. Once we started demo, we found out why. 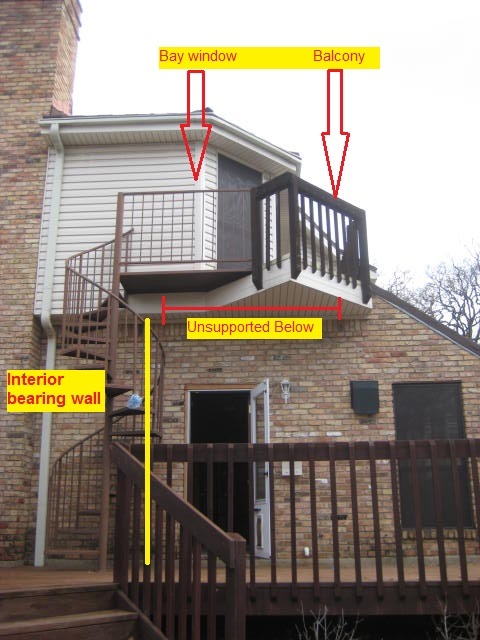 This is ANOTHER reason to have an inspector when building—they would have caught this. That said, one of the issues that compounded this project (a foundation issue) had FOUND. They didn’t disclose the problem to the potential homeowners, nor that they had “fixed” the foundation issues with a turnbuckle. The home inspector didn’t find the turnbuckle, either. After THOUSANDS of dollars…we corrected all these issues. Water? Yes…but it shouldn’t have been there! This homeowner had built this house from the ground up. And for the seven years they lived there, she had sinus infections frequently. Well…we found out why when we remodeled their kitchen! Evidently, the plumbers totally missed the location for the plumbing to come up in the island. 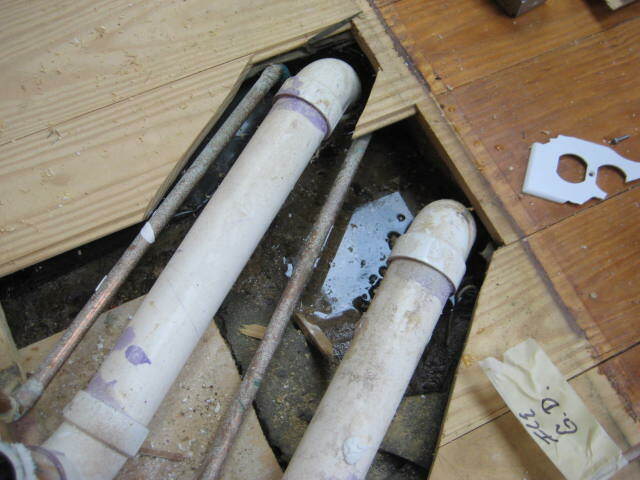 So they tried to “make it work”…when the island was set, it busted the PVC piping…which caused a leak all these years. 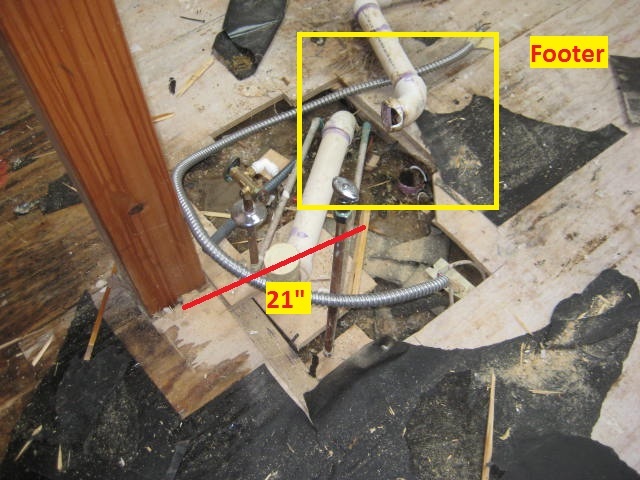 The homeowner didn’t know it because, for whatever reason, the builder had recessed this part of the kitchen and put in a “sub floor”…so the water just leaked and black mold grew under the subfloor. Hence…the cause of her sinus infections! Needless to say, once all that was cleaned out and rebuilt, she didn’t have any more sinus infections! 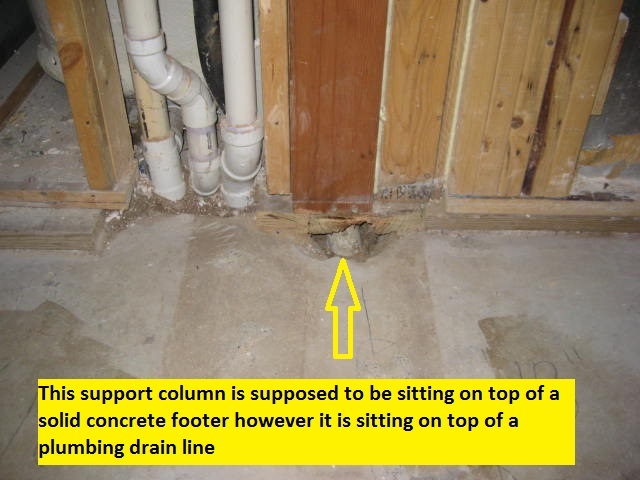 These issues cause REAL problems over time, even when homeowners have the best intentions. Trust is a VERY real concern, and finding the professionals with the expert eye and the integrity to do the job right can mean not only better value in your home, but higher quality of life. It really does amaze me what can pass as ‘acceptable’. We use a really good, reliable home inspector that runs a minimum of $500 plus tax. He has infrared technology to detect moisture behind the walls and other neat tools to give us the biggest picture/state of the home. This is a great post to educate!